Unemployment has dropped in Illinois from more than 12 percent in January 2010 to 3.9 percent in November 2017. 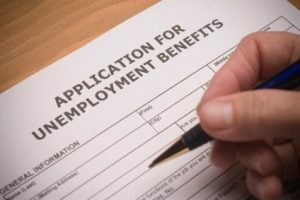 Unemployment rates decreased over-the-year in November in all of Illinois’s metropolitan areas, according to preliminary data released Dec. 28 by the U.S. Bureau of Labor Statistics (BLS) and the Illinois Department of Employment Security (IDES). Data also show nonfarm jobs increased in ten of the metropolitan areas and decreased in four. Illinois businesses added jobs in 10 metro areas, with the largest increases in: Kankakee (+2.6 percent, +1,200), Lake/Kenosha (+2.4 percent, +9,800), and the Quad Cities (+1.6 percent, +3,000). Total nonfarm jobs in the Chicago-Naperville-Arlington Heights Metro Division increased (+0.6 percent or +20,900). Illinois businesses lost jobs in four metro areas, with the largest losses in: Danville (-1.7 percent, -500), Champaign (-0.6 percent, -700), and Decatur (-0.6 percent, -300). The industry sectors recording job growth in the majority of metro areas included Professional and Business Services, (11 of 14), Mining and Construction (10 of 14), Transportation, Warehousing, and Utilities (10 of 14), Manufacturing (9 of 14), Education and Health Services (9 of 14), and Leisure and Hospitality (8 of 14). Not seasonally adjusted data compares November 2017 with November 2016. The not seasonally adjusted Illinois rate was 4.7 percent in November 2017 and stood at 12.2 percent at its peak in this economic cycle in January 2010. Nationally, the not seasonally adjusted unemployment rate was 3.9 percent in November 2017 and 10.6 percent in January 2010 at its peak. The unemployment rate identifies those who are out of work and looking for work, and is not tied to collecting unemployment insurance benefits.